Several grids did not report numbers this month, resulting in a drop in active users of 3,209. 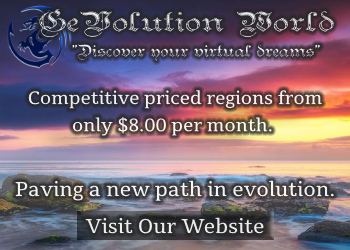 Avination was down this month, as were Virtual Dream, My Virtual Community, and Cyberface. Some grids, such as Activity Ds stopped providing active user numbers. In addition, eight of the top ten most popular grids lost active users this month. The total number of standard region equivalents on the public grids is now 59,400, up by 44 regions since last month despite the outages. The total number of registered users is 476,743, down by 76,120 due to the loss of Avination’s 81,321 registered users. The total number of active users is 30,823. 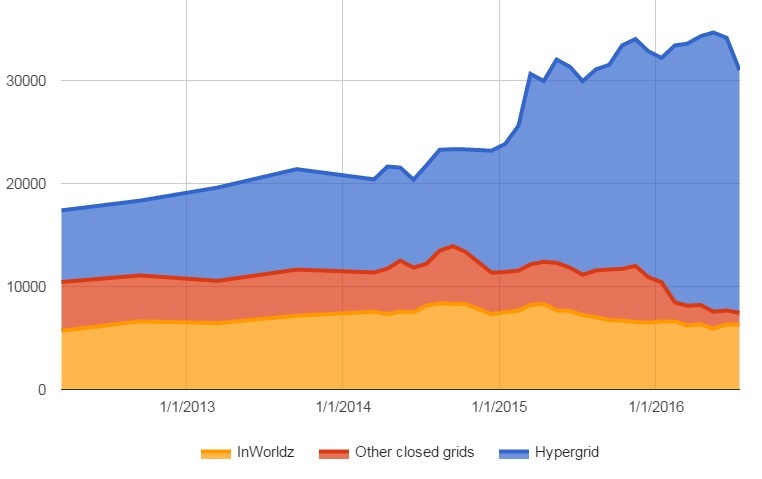 Despite the drop in user numbers, many grids saw land growth this month. Atek gained 417 new regions, Kitely gained 376, Loff Virtual Worlds gained 256, Metropolis gained 244, Baller Nation gained 194, and StarLight World gained 180. Most grids lost active users this month, possibly due to summer vacations, or maybe because folks were out chasing Pokemon. DigiWorldz lost the most active users, at 412, OSgrid lost 352, Virtual Brasil lost 179, the EdMondo educational grid lost 138, the Great Canadian Grid lost 129, Metropolis lost 120, Activity Ds lost 118, and Kitely lost 101. On July 4, Avination suffered a “catastrophic data loss,” the grid announced. Fortunately, the grid had current off-site backups, so no data was lost. But the grid decided to switch hosting providers and finding a new vendor, then moving all the data over, will take several weeks. Customers who rent land for the grid will not be charged during the outage. 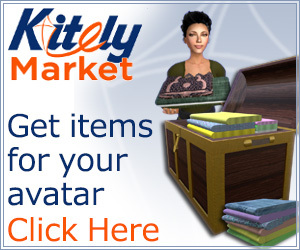 Avination is one of the oldest commercial grids on the OpenSim platform, but has lost both land area and active users over the past few years. Last month, it had a total land area of 493 regions, down from a peak of 1,163 in 2011. 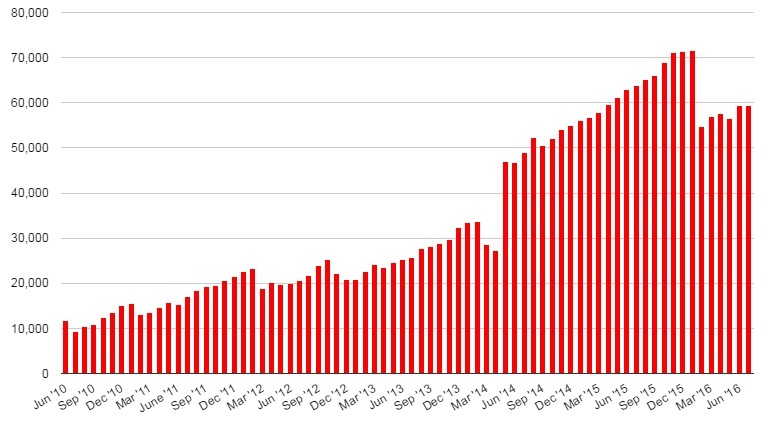 And it reported 448 active users, down from a peak of 3,770 in 2011. AviWorlds, a grid popular with Brazilians, has launched a new grid specifically for users in Brasil. Avi Brasil will be offering free regions to new residents who sign up before August 1. The list below is a small subset of existing OpenSim grids. We are now tracking a total of 1,158 different publicly-accessible grids, 278 of which were active this month, and 203 of which published their statistics.